Come to this quiet cafe in North Dallas for breakfast and order the combo, which is like chilaquiles with an African twist. 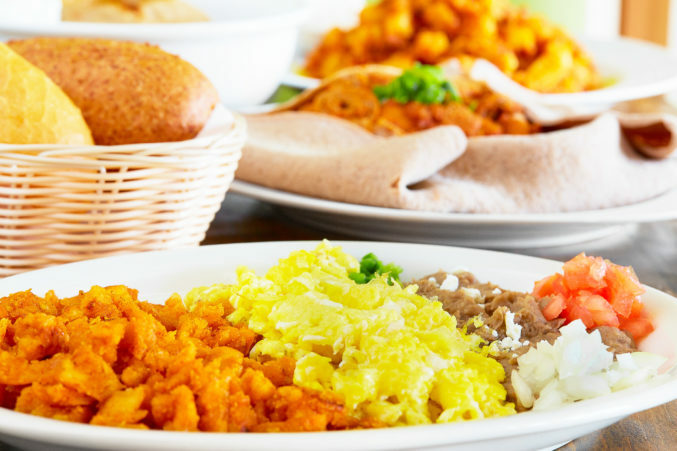 Because this is an Eritrean restaurant, you’ll also find panini, pasta, and breaded cutlets on the menu. The boxegna, a cream puff with a delicate coat of chocolate, makes for an airy ending.